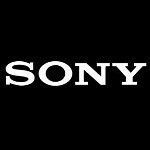 Although the Sony Xperia Z and its rumored counterpart, the Sony Xperia X, are getting most of the attention, there's one more Sony Android smartphone expected to be announced in the forthcoming days. That's the Sony C530X, also referred to as "HuaShan", which is said to be a mid-range handset of some kind. Little is known about the latter so far, but a few details have been revealed by its benchmark results in the GLBenchmark database. In particular, a variant of the HuaShan has been tested recently – the C5303, which is shaping up like a model tailored for the Chinese market. According to the benchmark database entry, the Sony C5303 has a screen with a resolution of 1280 by 720 pixels and on-screen virtual buttons are in use. Android 4.1.2 is reportedly running on the device. As far as its processor is concerned, an MSM8960 SoC is being listed, but the presence of an Adreno 320 graphics unit goes to show that the actual chip in use is the dual-core MSM8960T by Qualcomm, capable of handling Chinese cellular networks. As a side note, that's the very same chip used in the Nokia Lumia 920T, which is also on sale in China. What chip will be used in the European and U.S. variants of the Sony C530X isn't clear yet. That's all we know about the Sony C530X so far, but the rest of the details around it should be announced in the very near future. Chances are that the smartphone will be unveiled during CES2013, which kicks off in mere days. Xperia X = Xperia ZL now, they both refer to the Odin. Interesting to see what the HuaShan will look/perform like, especially if it has a 720p slightly smaller screen than the Z & ZL, good benchmark for a dual core handset though! Hope Sony puts 2GB on board with a decent sized battery in this in a 4.3" sized package and releases it internationally. Better to have a capable mid-range mid-sized phone with a sharp screen than to go the cheap phablet route like some other manufacturers are now doing. good job SONY...i know you can make it. perhaps an xperia t plus? Hoping this will be the international version of the Xperia SX... if that is so... It will be the perfect phone for me... I always support SONY as the can make really nice products.